Kiandutu informal settlement is home to about 9,000 households located on a 100 acre piece of public land in Thika town along the busy Nairobi-Garissa Highway. The settlement is fairly planned with access roads and water reticulation. According to the settlement Enumerations and Mapping report 2012, top of the list of the settlement’s agenda is addressing issues of sanitation, tenure and shelter. The quest for the community to address these pertinent issues has been steadfast. Bernard Kabue, one a Lobbying and Advocacy Leader indicates, “ For Kiandutu to forge a united front to address tenure, shelter and housing we have been mobilizing communities towards, community focused Savings to set the much needed momentum to initiate sanitation projects, which is almost complete, ensure consistent partnerships with the Kiambu County government and now we are in the process of renewing our committed partnership with the University of Nairobi’s School of Built environment to develop a strategy to develop a settlement-wide plan to build a basis for engaging the government to compel it to release the land to the community to work on an insitu-upgrading initiative. Today we are honored to host the Rockefeller Foundation, led by the Vice President Zia Khan as the settlement takes stock of its achievement for the last 3 years". Rockefeller Foundation has been one of the federations’ key partners in developing workable urban solutions that aim to cause major impact in the lives of the urban poor. In order to achieve this it only means scaling up partnerships to reach optimum impact. 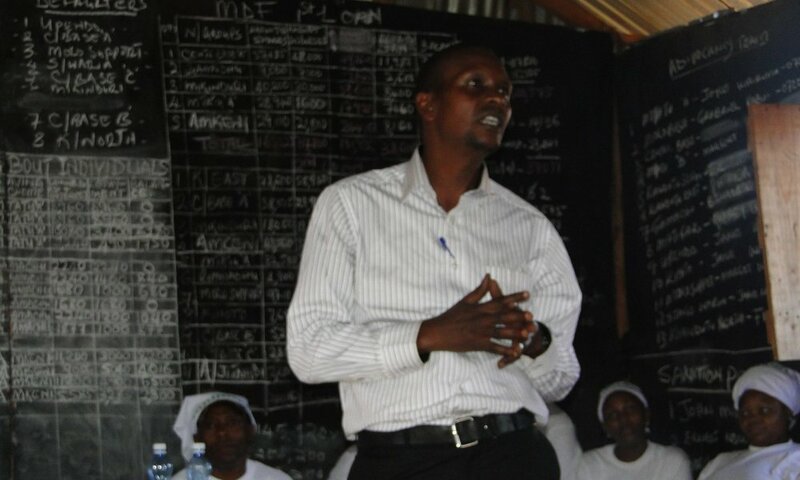 The Foundation to a larger extent has supported the federation processes, such as; enumerations and mapping and community-led sanitation project such as the Kiandutu sanitation projects in Molo and Biashara villages. Zia Khan, Rockefeller Foundation Vice President for Initiatives and Strategy said, “It's great to be here today, just to see what members of this community are driving, and as an urban poor movement to achieve lasting social change through innovation”. The Foundation is committed to working with groups that are developing policy recommendations and letting investors of all kinds know that there's still more than enough room for them to jump in and put their dollars to work toward achieving social impact. The VP was accompanied by Ryan Whalen,Team Program director and Wairimu Kangondu Rockefeller Grants Officer. Bernadette Musau, the Muungano-Kiandutu Network vice Chairlady, reiterates, “The role of women in community led governance structures continue to take dominance in our savings schemes and community led projects, Muungano through local, national and International exchanges has empowered women to take up leadership and offer support in building second tier leadership structures at the grassroots, for the soul reason of evoking change in the settlements as inspired by communities. Some of these women you see here are self taught entrepreneurs, and are currently geared towards initiating income generating project. The bags, wallets and t-shirts you see displayed here are as a result of walking together out of the shackles of Poverty”. 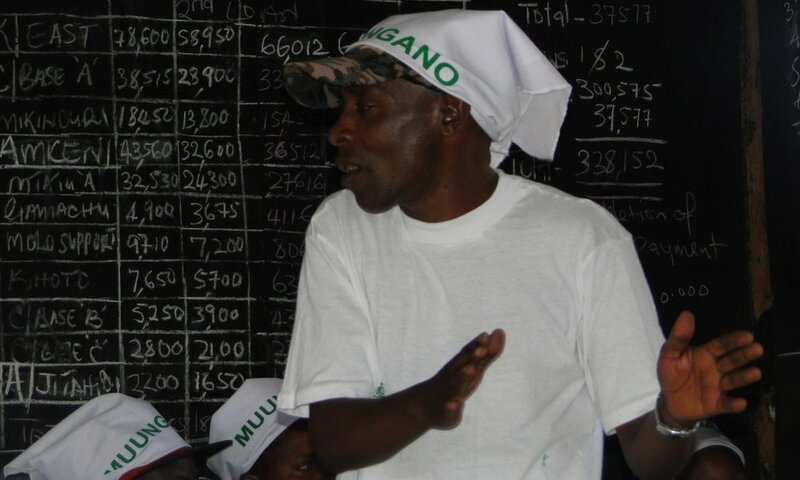 Muungano’s future is pegged on developing a range of innovative strategies, based on key fundamental areas; policy priorities, how to mentor new Muungano leaders, and the need for engaging with county governments (including leveraging funds via ongoing devolution reforms). Each of these pieces of knowledge, that the federation is building on by actually doing it by themselves creates a better environment for learning will directly inform how the federation crafts potential interventions—and which preexisting actors and innovations can bring together to scale up a solution. In the Coming year the federation feels confident that our early work, first to re frame the problem, and now to look at it from a systems perspective, will help us serve as a bridge between the urban poor and our government and communities, this I just but the beginning to understand their plight.